Rice is the staple food for majority of the global population. But, rice grain has low protein content (PC). Mapping of QTLs controlling grain PC is essential for enhancement of the trait through breeding programs. A shortlisted panel population for grain protein content was studied for genetic diversity, population structure and association mapping for grain PC. Phenotyping results showed a wide variation for grain PC. The panel population showed a moderate level of genetic diversity estimated through 98 molecular markers. AMOVA and structure analysis indicated linkage disequilibrium for grain PC and deviation of Hardy–Weinberg’s expectation. The analysis showed 15% of the variation among populations and 73% among individuals in the panel population. 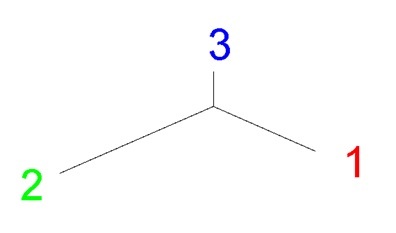 STRUCTURE analysis categorized the panel population into three subpopulations. The analysis also revealed a common primary ancestor for each subpopulation with few admix individuals. 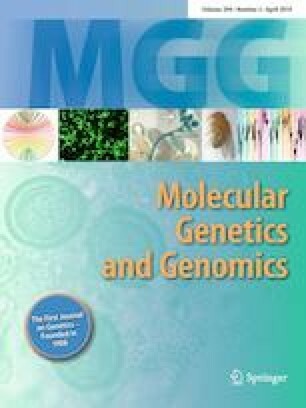 Marker-trait association using 98 molecular markers detected 7 strongly associated QTLs for grain PC by both MLM and GLM analysis. Three novel QTLs qPC3.1, qPC5.1 and qPC9.1 were detected for controlling the grain PC. Four reported QTLs viz., qPC3, QPC8, qPC6.1 and qPC12.1 were validated for use in breeding programs. Reported QTLs, qPC6, qPC6.1 and qPC6.2 may be same QTL controlling PC in rice. A very close marker RM407 near to protein controlling QTL, qProt8 and qPC8, was detected. The study provided clue for simultaneous improvement of PC with high grain yield in rice. The strongly associated markers with grain PC, namely qPC3, qPC3.1, qPC5.1, qPC6.1, qPC8, qPC9.1 and qPC12.1, will be useful for their pyramiding for developing protein rich high yielding rice. S. K. Pradhan and E. Pandit authors contributed equally. The online version of this article ( https://doi.org/10.1007/s00438-019-01556-w) contains supplementary material, which is available to authorized users. The authors thank Dr.SK Nayak former Editor-In-Chief, Oryza for checking the manuscript. They also thank Director, ICAR-National Rice Research Institute, Cuttack, Odisha for full support in providing facilities for the research work. Conceived and designed the experiments: SKP EP. Performed the experiments: EP SP KC BB. Analysed the data: EP PD SS. Contributed reagents/materials/analysis tools: SKP JNR. Wrote the paper: SKP EP Editing: SKP JNR. This research work was supported by ICAR-National Rice Research Institute, Cuttack, Odisha, India. The authors declare that this study complies with the current laws of the country in which the experiments were performed. This article does not contain any studies with human participants or animals performed by any of the authors.